Our Kudzu extract comes from China. 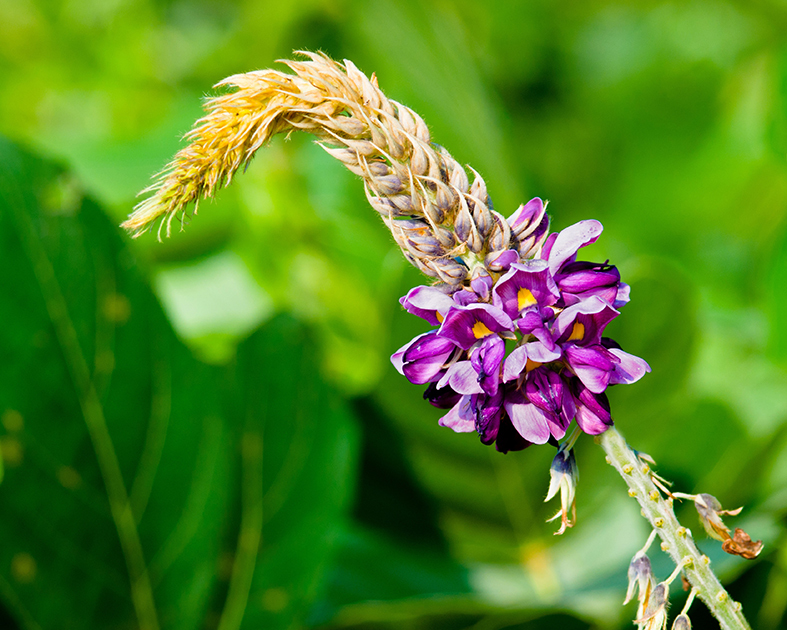 Kudzu (Pueraria lobata) is a climbing plant that is best known in the United States and Australia. The plant is native to southern Japan and the southeast of China. The name comes from the Japanese "kuzu", which means climbing plant. It is a species of woody climbing plants, which can be 20 to 30 m long. The plant climbs in trees and creeps over lower vegetation. The flowers grow in 10 – 25 cm long panicles, consisting of 30 to 80 individual flowers exist. Each flower is 1-1.5 cm long, purple and fragrant. The flowers produce a lot of nectar and are visited by many insects such as bees, butterflies and moths. The plant flowers in late summer, which is followed by the production of furry, flat legumes, which contain three to ten hard seeds. Kudzu also contains a number of useful flavonoids such as daidzein and genistein, which have phyto-ostrogenic properties. That is why Kudzu extract can be found in our product Femeno 1.